At the bases of these two plants of Orobanche fasciculata are roots; especially note the plant at the right. 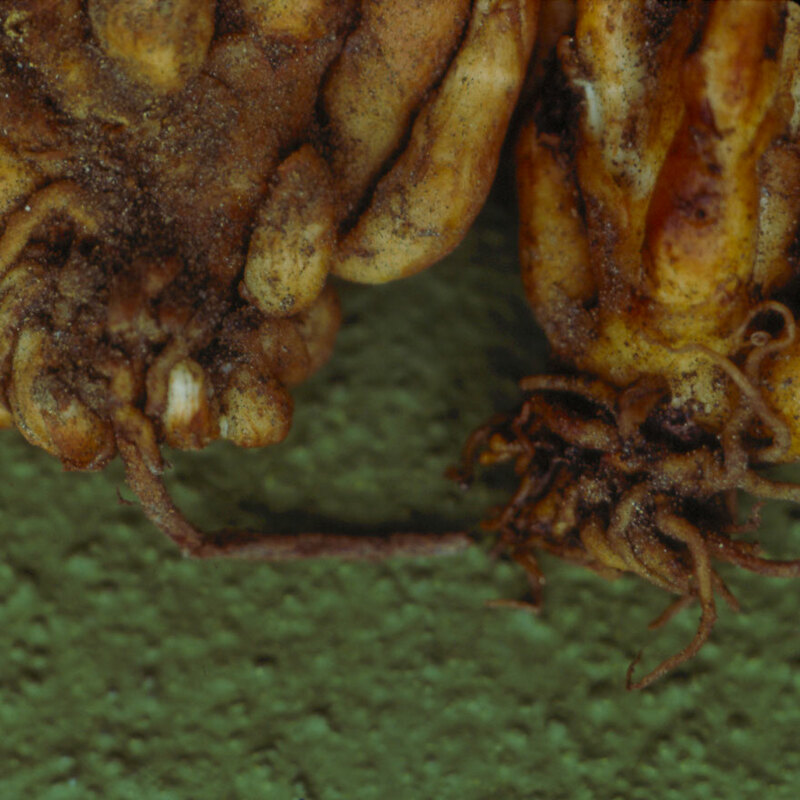 These roots belong to the Orobanche plants, but they have interconnections (not shown) with roots of host plants. Orobanche takes water, sugar, and other substances from host plants through their roots.